An MFA program that combines studio time, theory, travel and career opportunities at one of the nation’s leading art schools. The VCUarts Painting + Printmaking MFA provides opportunities for artists to develop their work through intensive studio time, immersive theory and criticism courses, teaching experience, exhibition opportunities, and professional opportunities. Each semester, a visiting professor teaches the Graduate Seminar course and conducts bi-weekly individual critiques. Additionally, visiting artists, curators, and critics give lectures and conduct studio visits. Recent visiting artists, curators, and critics include: Stanya Kahn, Caitlin Cherry, Wendy Vogel, Kanishka Raja, Alejandro Cesarco, Thom Donovan, Galit Eilat, Nicole Eisenman, Rochelle Feinstein, Joanne Greenbaum, Daniel Joseph Martinez, Ulrike Müller, R.H. Quaytman, Lisi Raskin, and Fred Wilson. Travel experiences are a crucial element of the VCU curriculum. In previous years students have visited Documenta 14, Sculpture Project Münster, Berlin Art Week, as well as art events in Mexico City, Los Angeles, Peru and China. All MFA candidates can participate in regular VCUarts alumni exhibitions in New York City, and alumni have the opportunity to participate in the Wutzell Residency in Italy and the SOMA fellowship in Mexico City. VCUarts is one of the nation’s leading arts schools, dedicated to advancing creative expression, supporting new scholarship, sparking innovation and deepening the role of the arts in society. Its visual arts and design graduate programs have received top rankings by U.S. News & World Report. MFA Open House is on November 10. Application deadline is January 15, 2019. 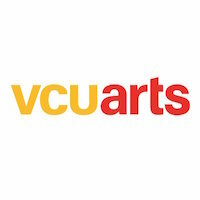 For more information about the VCUarts Painting + Printmaking MFA, contact the Director of Graduate Studies, Cara Benedetto, at [email protected] or visit arts.vcu.edu.